The FDA is trying to destroy the CBD industry with regulatory assaults, but the industry is pushing back (and the weight of the evidence and the science is on the side of the hemp industry). Nevertheless, the FDA is a formidable opponent and they can wage all sorts of regulatory assaults against natural substances they wish to regulate out of existence. So I’ve decided to post a serious correction / clarification to this story to make sure nobody misreads what I’m asserting here, and I apologize for any misconstruing of my intention in posting this, which was to ALERT people to the regulatory assaults of the FDA that are trying to destroy the hemp extract industry. As a food scientist and natural medicine activist, I am 100% pro hemp, pro CBDs and pro plant medicine. Essentially, my use of the term “outlawed” in the title of my original article was misconstrued. By “outlawed,” I meant the FDA essentially writes its own “regulatory laws” and has posted a clear statement on its own website which states that CBDs cannot be sold as a dietary supplement. This is a regulatory attack on hemp extracts, but it is not technically a law that was passed by Congress. I regret my choice of the word “outlawed”, and I will be more careful in my choice of words when covering this issue in the future. In the article below, I have replaced any reference to “outlawing” with the more accurate terminology of “regulating out of compliance” or similar language. But make no mistake: Cannabidiol is on the target radar of the FDA, and they are waging a campaign of regulatory intimidation to try to destroy the marketplace. If they get their way, they will EFFECTIVELY outlaw CBDs via regulatory assaults. Their goal is the same: destroy the CBD marketplace. My hope is that they fail in their efforts, of course. UPDATE: This article has caused a tremendous amount of discussion and a lot of disinformation is flying around, so I’m adding these notes for clarification. One thing I’ve learned is that the people who sell CBD oil don’t even know there is more than one CBD molecule. Some have attacked me for using “cannabidiols” in a plural form, because they are ignorant of the full chemistry of CBD synthesis and molecular variants. Even wikipedia lists seven CBD molecular variations, each with its own name. They are named delta-5-cannabidiol, delta-4-cannabidiol, delta-3-cannabidiol, delta-3,7-cannabidiol, delta-2-cannabidiol, delta-1-cannabidiol and delta-6-cannabidiol. They share the same elements in their molecular composition, but they have variations in their double bonds, meaning they behave slightly differently when interacting with other molecules. Secondly, the FDA did attempt to “regulate into non-compliance” CBDs as a dietary supplement. It’s printed right on the FDA’s own website: “12. Can products that contain cannabidiol be sold as dietary supplements? A. No. 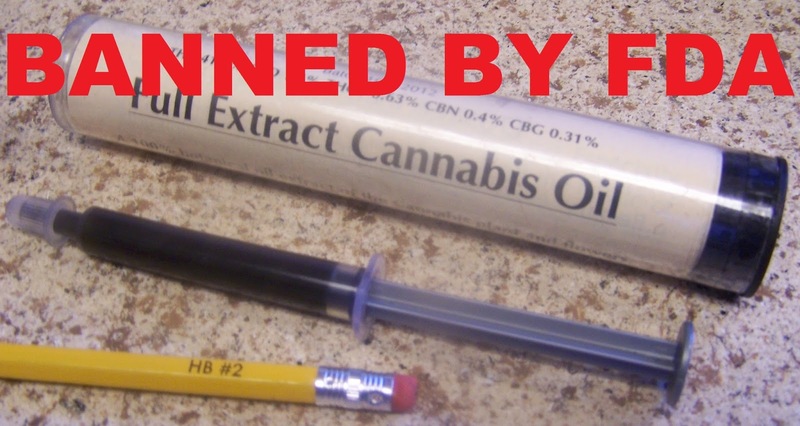 Based on available evidence, FDA has concluded that cannabidiol products are excluded from the dietary supplement definition…” The FDA has also started sending aggressive warning letters to CBD product marketers. Some of the people commenting on this article have said you can just sell CBDs as a “food” and not a dietary supplement. UPDATE: Efforts are under way to GRAS list cannabidiol with the FDA, but CBD is not currently GRAS listed, meaning it cannot be sold as a food without attracting regulatory scrutiny from the FDA. I spoke with a highly competent regulatory attorney who confirmed all this. There is no question that some smaller companies are right now selling hemp oil with CBD content, but this does not mean such sales are immune from FDA regulatory prosecution (and intimidation attempts). The FDA tends to go after larger suppliers first, ignoring smaller suppliers due to its own limited resources. For this reason, smaller suppliers of CBD supplements or hemp oil products containing added CBDs may be able to continue selling such products for a very long time without facing regulatory action. Nevertheless, that regulatory risk is ever present and may be invoked at any time by the FDA to target that company and confiscate its products. Selective prosecution is one of the key regulatory weapons of all federal agencies. This is how they protect their pharma friends and punish the competition. This is why the hemp industry needs to push back HARD against the FDA! The second target of the FDA is companies that made disease treatment claims that their CBD products might treat epilepsy, cancer or other conditions. The FDA, of course, routinely attacks any dietary supplement maker that tells the truth about the medicinal benefits of their products. According to the FDA, there is no such thing as any food, nutrient, herb or natural molecule that has any ability whatsoever to treat, prevent or cure any disease. This position is, of course, patently absurd and stands in total violation of nutritional science, but it is the “big lie” the FDA must maintain in order to keep putting dietary supplement companies out of business.